Oak shakes have a distinctive warm cream colour and a softly grained texture that means they are often chosen for prestigious buildings or for the conservation of historic buildings - they make an ideal choice for church spires or indeed bell towers. Vincent Timber's Oak shakes are made from English Oak, from the tree's heartwood with the sapwood removed. They are extremely durable and have an extremely long lifespan. 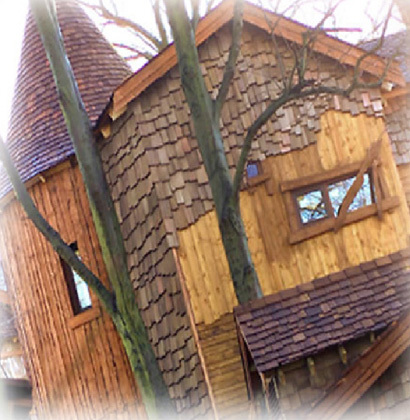 Oak shakes are a hardwood alternative to western red cedar shingles/shakes. They require no treatment as oak naturally has a high durability. 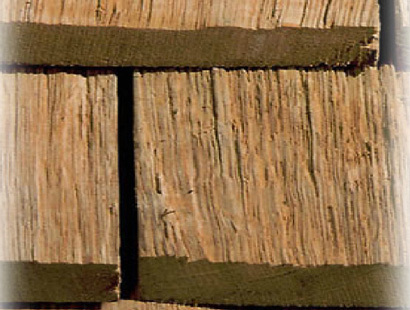 Made from English Oak, all the sapwood is removed with the remaining heartwood yielding a very stable and durable product which is not prone to cup shrinkage or ingress of water into end grain which can be common in sawn shingles. 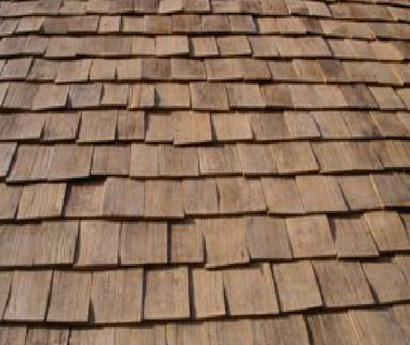 Each shingle is split from an oak round using a froe. They are dressed if necessary to ensure they lie reasonably flat and taper slightly along the length. The exposed surface is left undressed to leave the grain intact. Oak shakes can have up to three times the life span of sawn cedar. 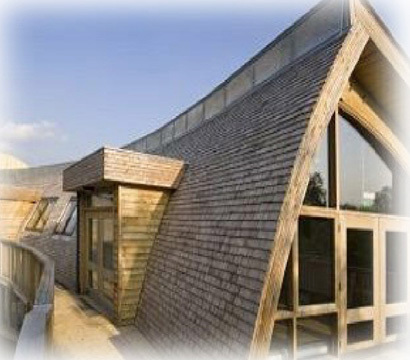 Oak shakes feature highly on building projects where a degree of sustainability is required. Timber is the only renewable building material and Vincent Timber's Shakes are always sourced from managed and responsible sources. The exceptional qualities of Chestnut shakes make them the perfect building material for covering roofs and exterior walls. They are often chosen for historic and heritage projects but they are equally at home as part of modern architectural projects where their characteristics contrast to deliver unparalleled rustic charm to a structure. Chestnut shakes give a gracious decorative finish which is original as it is elegant. Cut to shape by hand, they give superb regularity which is aesthetically pleasing. The wood of the Chestnut Tree is hard wearing whilst also retaining good flexibility. It is easy to work with and only shows minimal contraction. It is resistant to water and rain making it an ideal external cladding option. Chestnut shakes are made and planed by hand and it is this that makes their surfaces resistant and able to breathe. There is no need for paint or treating the exterior surface in any way. It will deliver long term performance without any other coating. Over the years the wood will take on a grey to silvery colour which can be especially beautiful in sunlight. Vincent Timber is committed to helping the environment by using and supplying eco friendly products. All riven products are made from UK sourced timber.